Every window in your home could benefit from having shades or drapes. They are used to protect your family’s privacy, block out the sun, and add a finishing touch to your interior design. With shades you can control from a remote, touchpad or smartphone, it’s easier to cover even the hardest-to-reach windows. Many modern homes include floor-to-ceiling windows that are practically impossible to manage manually. Some also include windows that are too high for most family members to reach. With smart control, you can cover up them up without having to sacrifice your stylistic preferences. Another cool way you can blend functionality and style is through the use of dual-shades. Have a blackout shade you can bring down to block out the sun while you're cooking. When the sun isn't hitting the window directly, pull up the blackout shade and bring down a sheer shade that matches your home’s décor. Smart control makes it easy to select which one you want to open or close or adjust them simultaneously. Dual shades are also a great option for entertainment spaces like a home theater or media room. You can use the blackout shades to eliminate ambient lighting when watching a movie and use the sheer shades the rest of the day to match your interior design. As we mentioned at the start of the blog, lighting control also plays a big part in your interior design. While this usually means adjusting the artificial light to highlight certain features, it can work with natural light as well. We can install photo sensors in certain rooms so that when the sun is out, the artificial lights will dim to save energy and give the area a natural glow. In other rooms, you may want to do the opposite. Natural light could damage some artwork or furnishings. In the past, this meant placing them in areas far from windows. Instead, you can direct photo sensors to close your shades as soon as windows are hit directly by the sun, letting you protect vulnerable items. 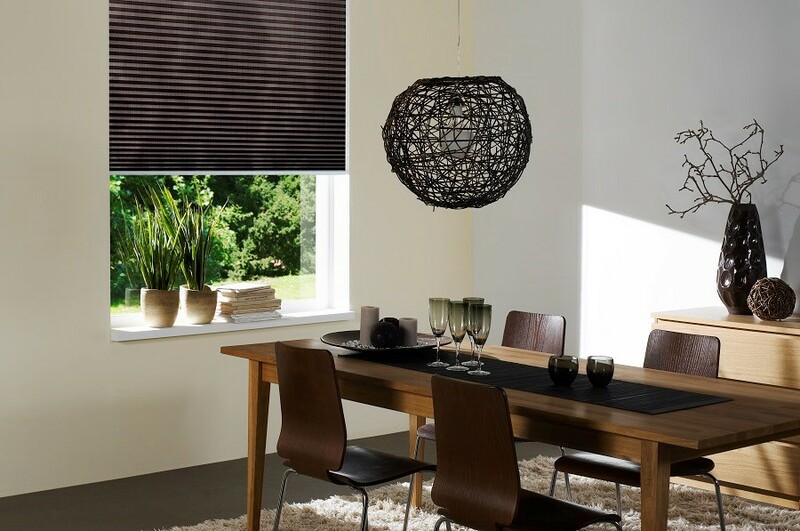 Whether you want to add a spark with new shades or manage the amount of sunlight in your home, motorized shades can be a great stylistic tool.